According to Phillip Hammond, a new start up is spawned every single hour in the UK. As business owners, we all know that the UK’s 5.5m SMEs are the economic backbone of this country and they play a very significant role in boosting the economy. Research conducted by the Centre for Economics and Business Research (CEBR) verifies this, by revealing that SME businesses contributed over £196 billion to the UK’s total GDP in 2016 and provided over half of all private sector jobs. In his Autumn Budget, Chancellor Hammond said that he wants to increase the rate at which new businesses are launching in the UK to one every half an hour. He also wants to ease the pressures facing small business owners, giving them the resilience to thrive. It’s not surprising then that this was probably one of the most business-friendly budgets we have seen for some time. Perhaps it wasn’t particularly creative, but there were a range of sound measures unveiled to support small business owners and at the same time, address the issue of corporate tax avoidance by ensuring that large international organisations, with the resources to use tax havens and limit the amount of UK corporation tax they pay, will soon be required to pay their tax dues locally too. R&D tax credits is already a very valuable tax relief and the rate has been extended to 12%, resulting in 2.4% of GDP being allocated to funding investments in R&D by UK companies. However, scratch beneath the surface and you will discover that this rate is only applicable to larger companies, bringing them closer into line with the Enhanced R&D tax relief rate already available for small businesses as announced in the previous Budget. However, there were other ‘innovation’ related Budget giveaways that will benefit small businesses. These include a further £2.3bn announced for investment in R&D and a fund of over £500m to invest in a range of initiatives from Artificial Intelligence, to 5G and full fibre broadband. In addition, there is to be a new Regulators’ Pioneer Fund, as well as a new Geospatial Data Commission to develop a strategy for using the government’s location data, to support economic growth. Air quality in many of the UK’s cities is poor and a £220m ‘clean air’ fund was announced. There will also be a range of initiatives to promote investment in electric cars, with £400m pledged for a new charging infrastructure and £40m invested into improving charging technology. The current law will be clarified so that people who charge their electric vehicles at work will not face a benefit-in-kind charge from next year. Diesel car drivers will start to face higher taxes from April 2018. The first year VED rate for diesel cars that do not meet the latest standards will go up by one band. In addition, the existing diesel supplement in company car tax will rise by 1%. Video conferencing is brilliant, but sometimes there’s just no substitute for a face to face meeting. Given that fostering close international relationships is now more important than ever in the wake of Brexit, news that air passenger duty is being frozen for all budget and transatlantic air travel is good for small businesses looking to expand globally and trade overseas. That is, unless they travel in first class or on a private jet! Business rates have been a controversial topic for some time and the news that the government will be piloting a 100 per cent business rates retention in London next year was welcomed. In addition, the planned switch from basing the cost of rates against the RPI (retail price index) to the CPI (consumer price index), will be brought forward by two years to April 2018, after concerns about potential costs of the annual uprating business rates in April. This is expected to provide business rates relief to the value of £2.3bn or more over the next 5 years. There is also an extension to the existing support available for small pubs and restaurants. This extends the current £1,000 discount for pubs with a rateable value of less than £100,000 for another year, to March 2019. There were numerous rumours leading up to today’s Budget that the VAT registration threshold would be cut by as much as 50%. Effective for businesses with a turnover of £85,000 or more, UK’s VAT threshold is currently the highest in the OECD – Germany’s is just £15,600, for example. Economists argue the high VAT threshold distorts competition, plus dis-incentivises business growth and they have been making cases for it to be reduced. However, the threshold being set at a relatively high level also means that the majority of the UK’s smallest SMEs do not have to charge VAT, which helps them obtain and retain business. Taking these factors into consideration, Philip Hammond announced he would not cut the threshold as rumoured and whilst a consultation process will be started, the threshold will be maintained at £85,000 for the next two years. Further anti avoidance measures are being introduced to address the £1.2bn problem of online VAT fraud, which is a constant issue and prevalent in e-commerce marketplaces. To solve this problem, the government is making all online marketplaces and their sellers jointly liable for VAT. This means that in future, high street retailers won’t be trading at a disadvantage because e-tailers will also face the same level of VAT. Anyone listening to today’s Budget speech will recall that this was the measure that provoked the biggest reaction in the Commons. Another of the pre-budget rumours, this one did materialise. Stamp duty for first time buyers is being abolished on all property purchased up to the value of £300,000. In the case of London buyers, it will also be available on the first £300,000 of the purchase price of properties costing up to £500,000. In real terms, this means an effective price cut of £5,000. Overall, 95 per cent of all first-time buyers will benefit, with 80% not paying any stamp duty at all. 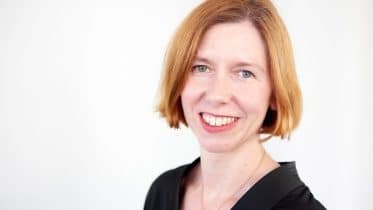 EIS has been an extremely powerful way of attracting investment finance for start-up companies and a contributing factor behind the UK’s ability to ‘launch a new company every hour’. 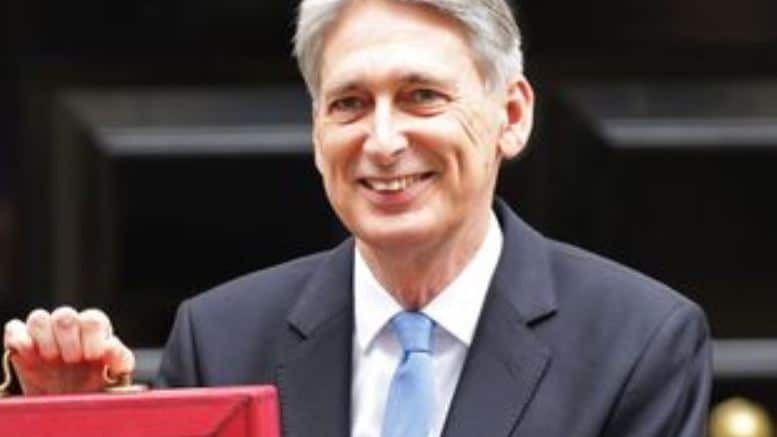 Hammond today announced that the existing tax relief for ‘knowledge intensive companies’ will be doubled to £2m, but also acknowledged that this did not mean that EIS could be used as ‘a shelter for low-risk capital preservation schemes’. Few details about exactly what qualifies as a ‘knowledge intensive company’ were released, and there is a suspicion that his second statement means more restrictions are to be introduced for other companies. Apparently however, it will mean an additional £7bn in investment finance being unlocked, which can only be a good thing. From April 2018, the personal allowance will be increased to £11,850 and the higher rate threshold to £46,350. In addition, the National Living Wage will be rising in April by 4.4% to £7.83. Over the coming weeks, as more details on the Budget announcements are released, we will be providing updates on the impact these changes will have on business owners. If you have any questions about the Budget, contact Lesley Stalker by emailing las@rjp.co.uk.